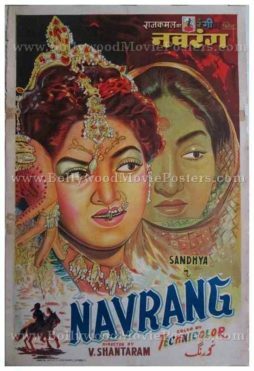 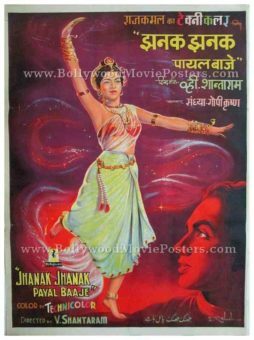 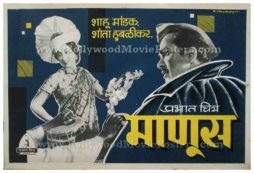 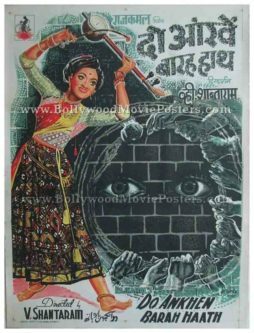 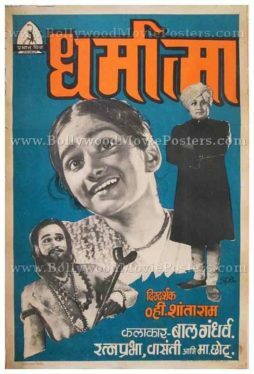 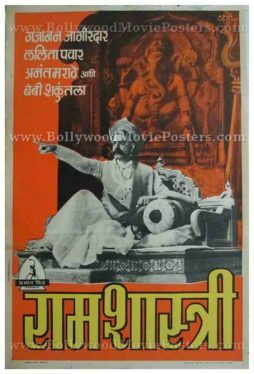 Old hand painted Bollywood poster of the hit V. Shantaram Hindi film, Navrang (1959) for sale. 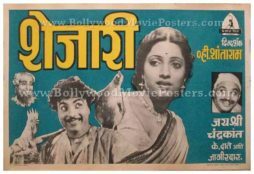 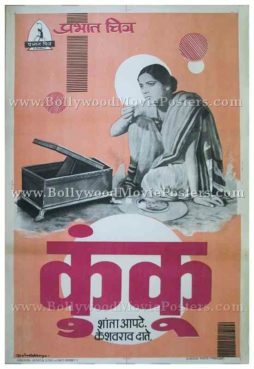 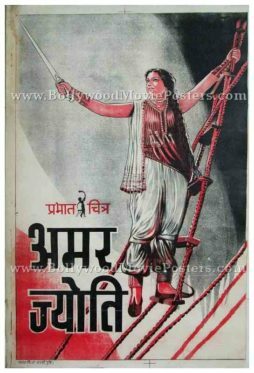 The film bagged two Filmfare awards, making this rare vintage Bollywood poster, highly collectible! 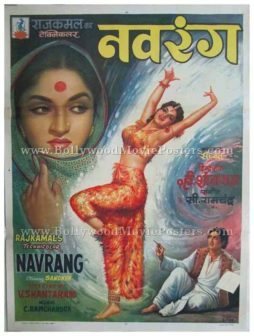 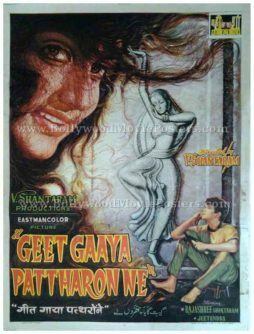 This beautifully hand painted Bollywood movie poster features lead actress Sandhya in two different avatars – one as a glamorous dancer and the other as a simple housewife.